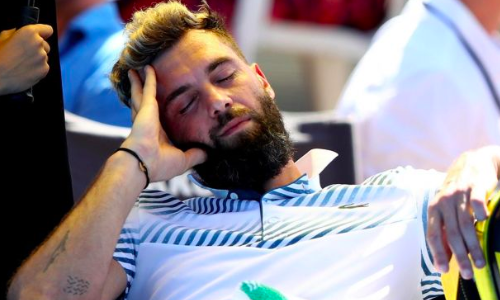 It was a tough day in the office for Benoit Paire on Wednesday. Not only did the local hope crash out in the second round of the ATP event in Montpellier, but he did so in a brutal manner. Paire was handed a 6-0 6-2 thrashing at the hands of Czech Republic’s Tomas Berdych. There were times during the match when the Paire looked lethargic. And the crowd was quick to spot that as they booed him at the end of the match. “Every time I hit a shot, they say ‘Allez Benoit’. Every time. No, I told you in the first game already. You didn’t say anything,” Paire had complained to the chair umpire early on in the first set. This is not the first time the 29-year-old has had a run-in with the crowd. At the Citi Open in Washington last year suffered a spectacular meltdown that saw him smash his racket multiple times, much to the dismay of the spectators.